Soda pans of the Pannonian steppe are unique environments regarding their physical and chemical characteristics: shallowness, high turbidity, intermittent character, alkaline pH, polyhumic organic carbon concentration, hypertrophic condition, moderately high salinity, sodium and carbonate ion dominance. The pans are highly productive environments with picophytoplankton predominance. Little is known about the planktonic bacterial communities inhabiting these aquatic habitats; therefore, amplicon sequencing and shotgun metagenomics were applied to reveal their composition and functional properties. Results showed a taxonomically complex bacterial community which was distinct from other soda lakes regarding its composition, e.g. the dominance of class Alphaproteobacteria was observed within phylum Proteobacteria. The shotgun metagenomic analysis revealed several functional gene components related to the harsh and at the same time hypertrophic environmental conditions, e.g. proteins involved in stress response, transport and hydrolase systems targeting phytoplankton-derived organic matter. 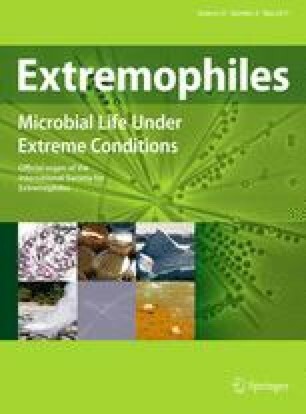 This is the first detailed report on the indigenous planktonic bacterial communities coping with the multiple extreme conditions present in the unique soda pans of the Pannonian steppe. The online version of this article (doi: 10.1007/s00792-017-0932-4) contains supplementary material, which is available to authorized users. The authors are thankful to Emil Boros, Balázs Németh and Tamás Sápi for their assistance during sampling. We are thankful to Annamária Kéri and János Kubisch for their help in establishing the computational environment for the CoVennTree program. This work was financially supported by the Hungarian Scientific Research Fund (Grants OTKA PD105407, PD112449); the Momentum Grant of the Hungarian Academy of Sciences (LP2012-19/2012) to CS.K, and the Bolyai János Research Grant (Hungarian Academy of Sciences) to B.S and T.F. Purchase of equipment was financed by the National Development Agency (Grants KMOP-4.2.1/B-10-2011-0002, TÁMOP-4.2.2/B-10/1-2010-0030).